Irene Wiecek is an Associate Professor, Teaching Stream, and is the Associate Director of the Master of Management and Professional Accounting Program in the Department of Management at the University of Toronto Mississauga, with a cross-appointment to the Accounting area at Rotman, where she is Director, CPA/Rotman Centre and Founder of the CPA/Rotman Centre for Innovation in Accounting Education. 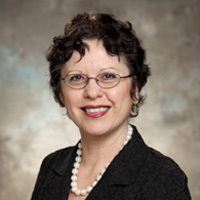 She is the co-author of Intermediate Accounting (Kieso et al) and the IFRS Primer: International GAAP Basics - both Canadian and U.S. editions (with Nickie Young). At the Canadian Institute of Chartered Accountants, she directs and develops material for the IFRS Immersion courses for practising accountants. Her expertise lies in the area of IFRS and professional accounting education.